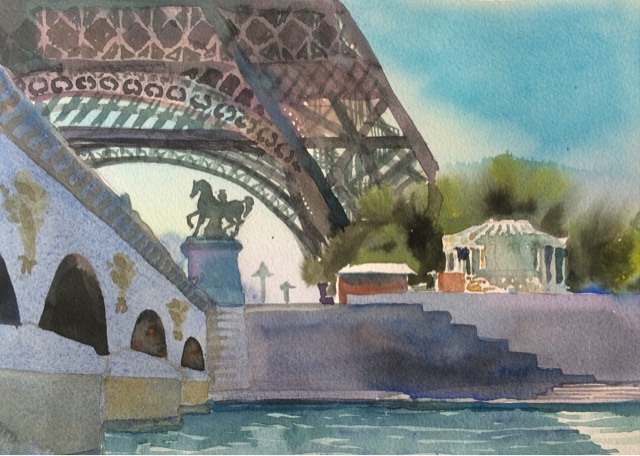 Bradley Clark Plein-air: Travel in Europe!! London for a few days and then to Paris. 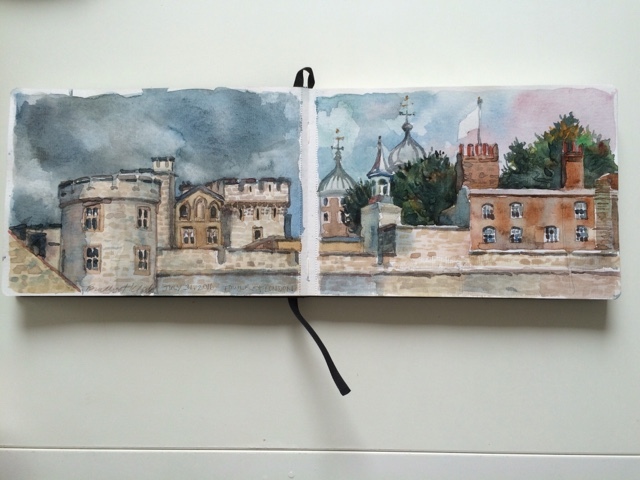 I had an opportunity to paint a late afternoon image in a small travel sketchbook of the walls of London Tower. We are now trading apts with a couple very near the Eiffel Tower and so I had a morning to paint this. It's hard to avoid the cliche of the symbol of Paris, so I referenced it without focusing on it.